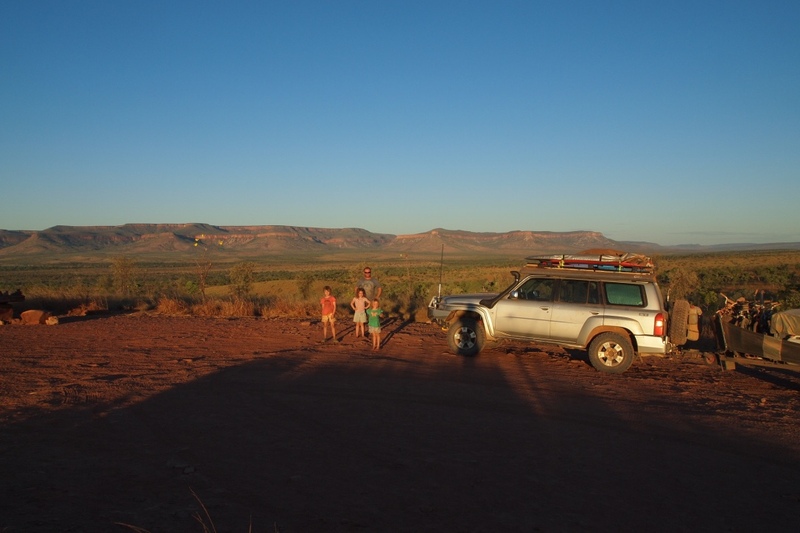 Whilst packing up camp at Munurru our neighbouring camp asked if we had any solder rods as they had found a crack in their axel. Luckily we had some to share and after pulling out the car seats and accessing the spare parts we happily helped out – as thanks the gentleman insisted giving us some cryovac steaks from the cattle station where he works! 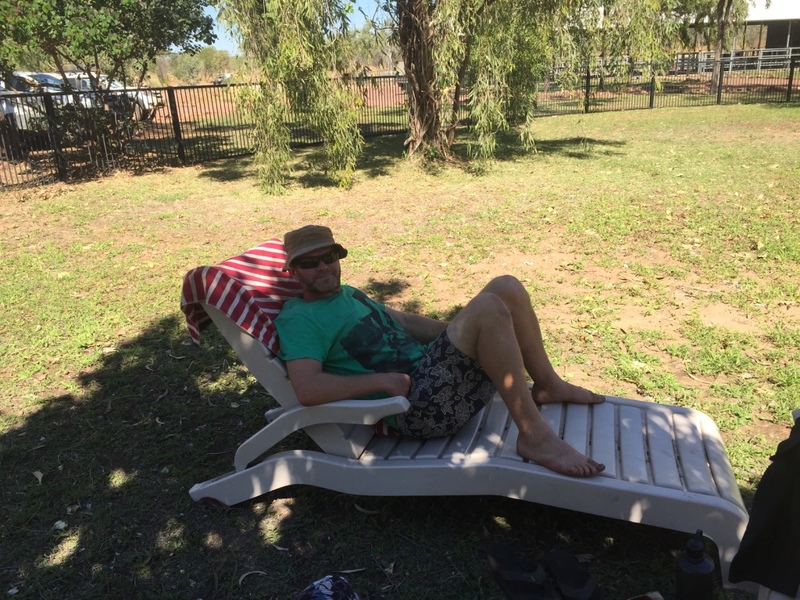 We said to the kids ‘what goes around comes around’ good deeds are rewarded in the outback! The children asked the Munurru camp host for a ride on his four wheeler service vehicle and he took them around the camp ground – which they all loved! We had a fairly big day driving from Munurru via Drysdale for more fuel and then along the Gibb River to Homevalley was approx 325km and we found this section of the Gibb River Road to be the most rocky and poor condition yet – although it wasn’t slowing some people down! This part of the road travels over through the Pentecost Ranges and was also quite windy. Holly asked for the ‘chuckies bag’ but thankfully it wasn’t required this time. Just before the Homevalley Station turnoff we came to a lookout for the Cockburn Ranges and we were there for the lovely late evening sunlight. A magical view. 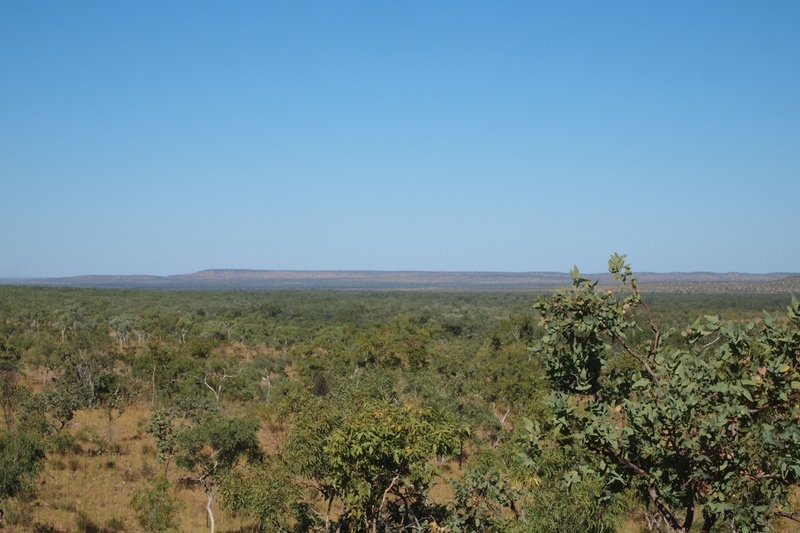 This lookout also has perfect Telstra service – the first mobile service since leaving Derby! We arrived at Homevalley station not long before dinner… never an ideal time to arrive anywhere with three tired hungry kids and the need to set up camp. To add to our woes the place was packed to the canvas! ( ha ha not rafters…get it – sorry late jokes). 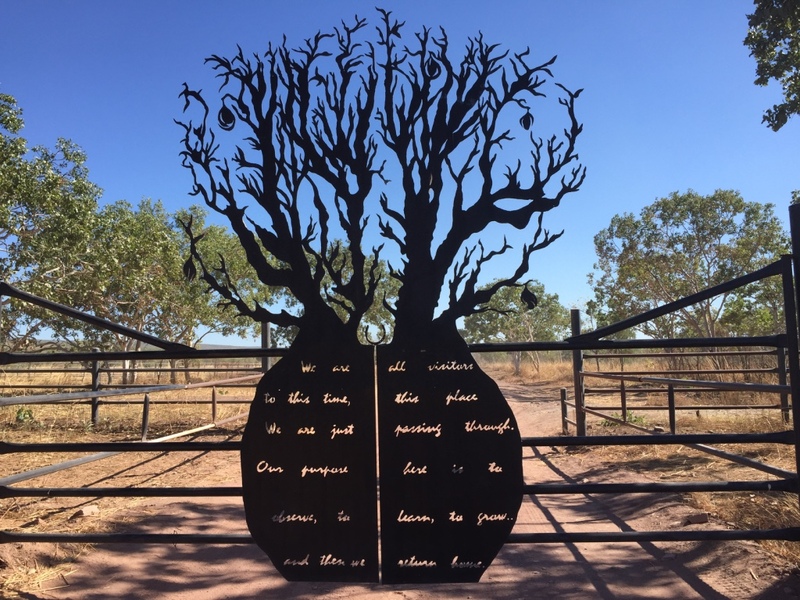 We loved the boab tree gate. (photographed as we left the station). 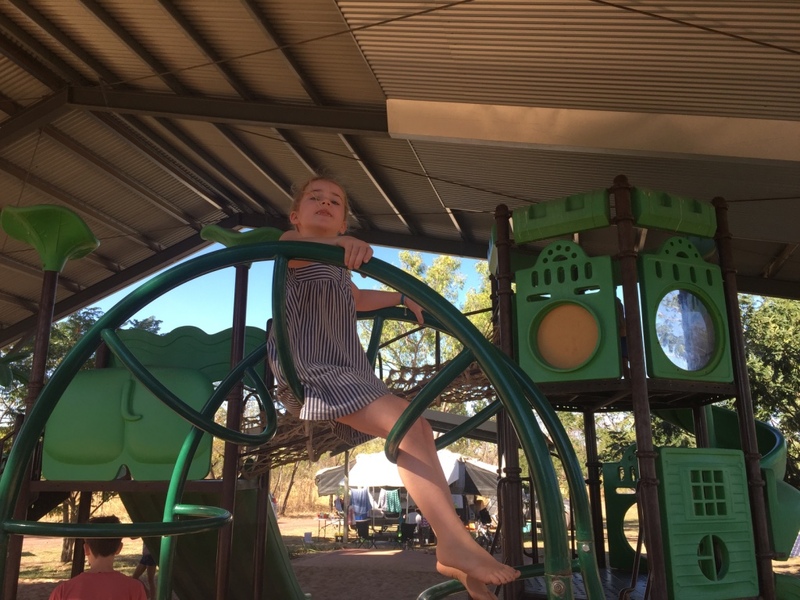 Homevalley has a outback cowboy country station feel with a resort like setting (and fees) it does still have cattle on the station but tourists are the main industry. After looking at the walks we decided that we would only stay one night. 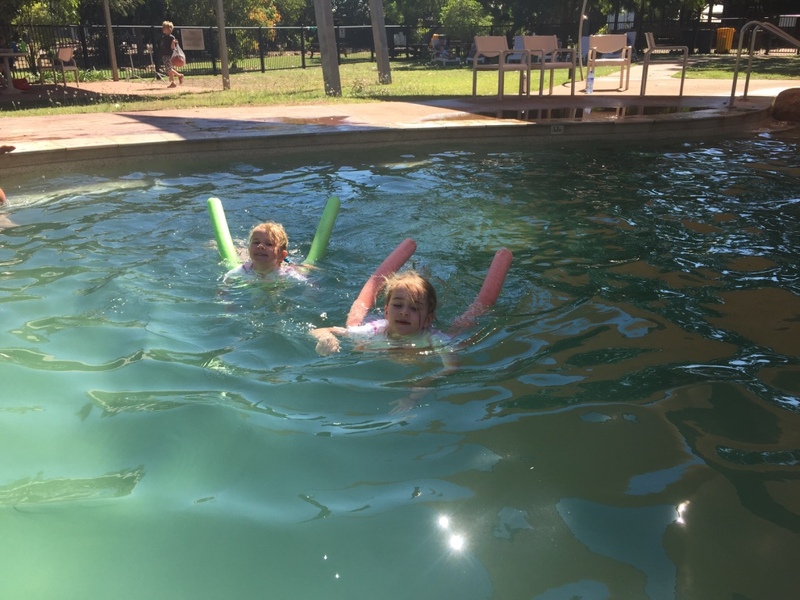 Homevalley is close to the Pentecost River, which has Estuarine Crocodiles and therefore none of the walks have safe swimming but they have washing machines and a pool. We tried to book dinner to treat ourselves but the restaurant was full. At 630am I was lined up (yes lined up) to use the washing machines and two hours later got to use them. Nearly midday by the time the washing was finished we decided to stay and use the pool and finish the washing. 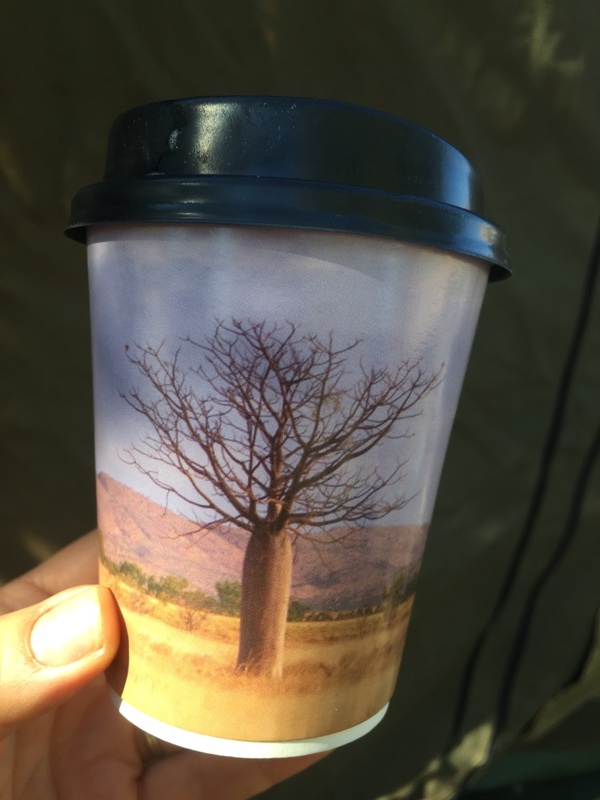 Thankfully Homevalley have a cafe with decent coffee – I loved the Boab tree cup! 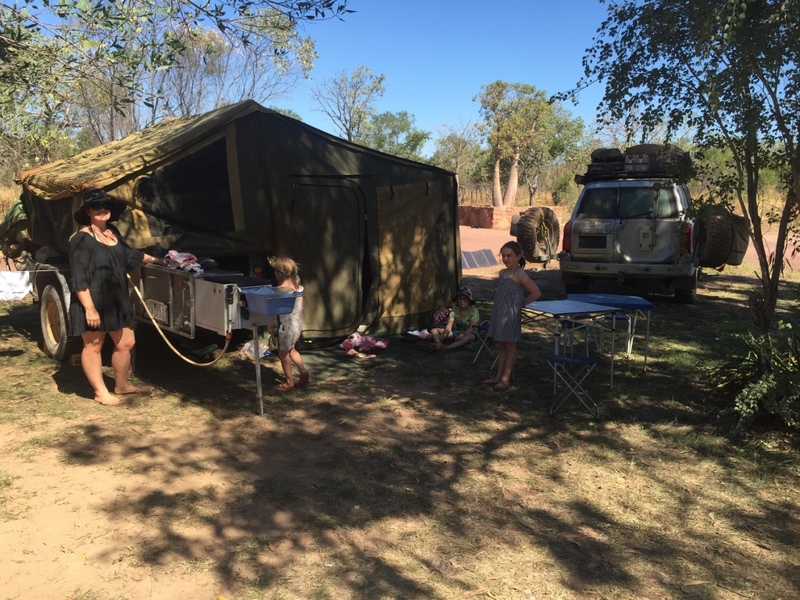 The highlight at Homevalley was having Stuart and Judy, (the couple we had met at Munurru) camp next to us….the children were so happy to have friendly faces to talk to they inundated Stuart and Judy with questions. Andrew gave Stuart some solder and helped with reconnecting Stuart’s Solar panel. We all met at the pool for a swim and after our swim Stuart insisted on buying us a drink as thanks, which was a lovely finish to the day. 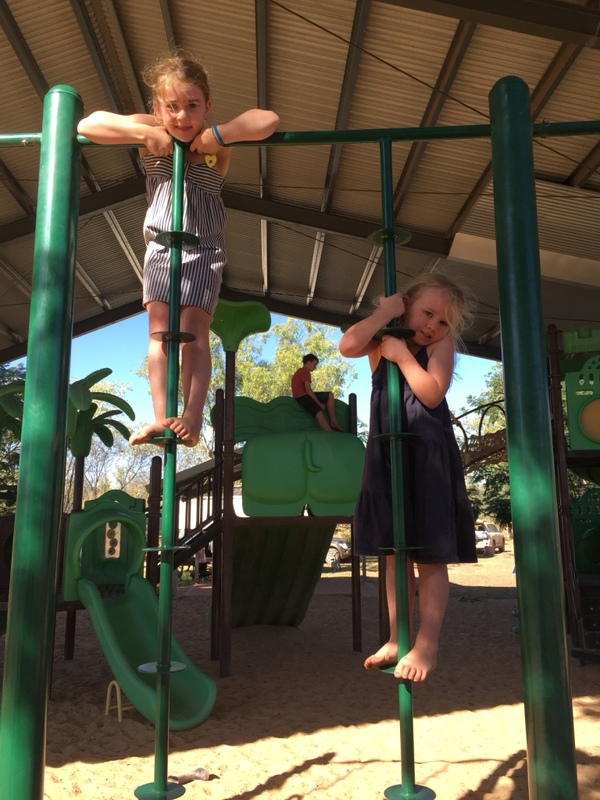 The children played on the play ground and were excited to visit the horses on the station. 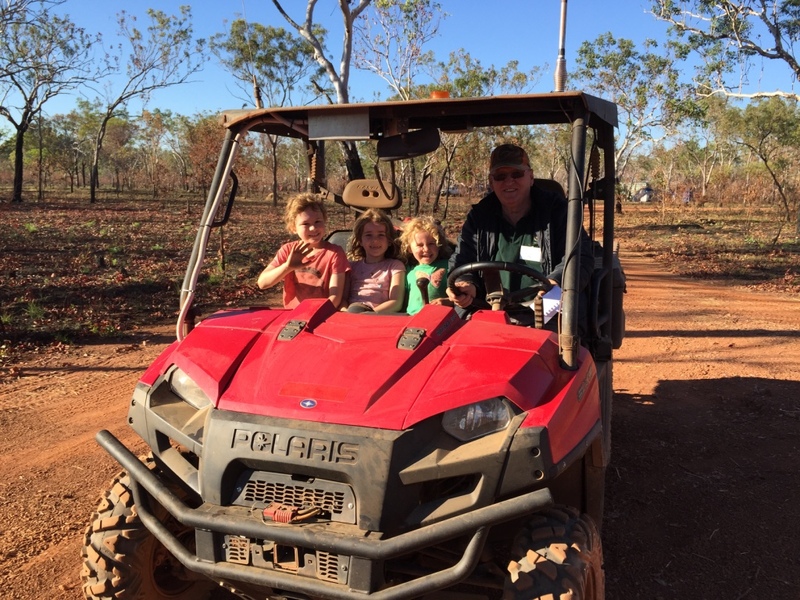 They were all keen to have a horse ride but Bianca was not old enough and we thought we would wait until El Questro (see if Bianca could go too). 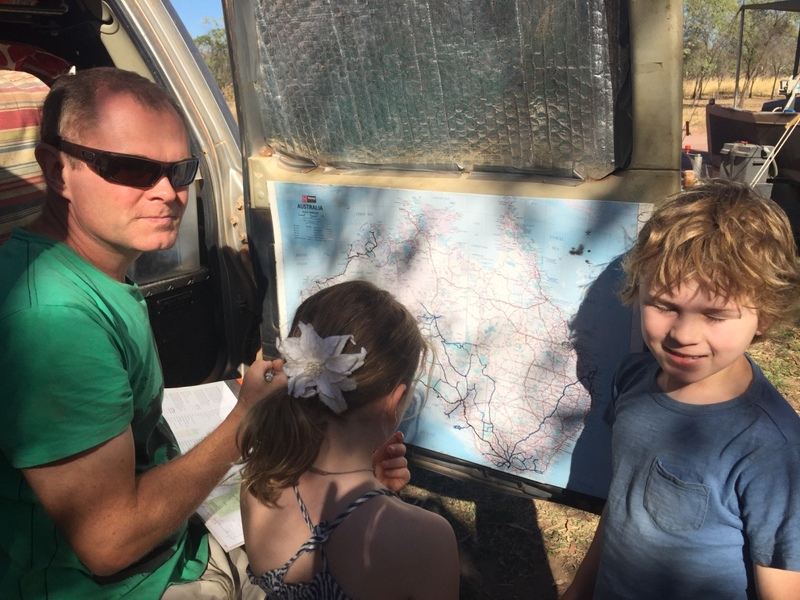 After two nights we packed up marked our travels on the big map of Australia and headed to our last stop in the Kimberley -El Questro.